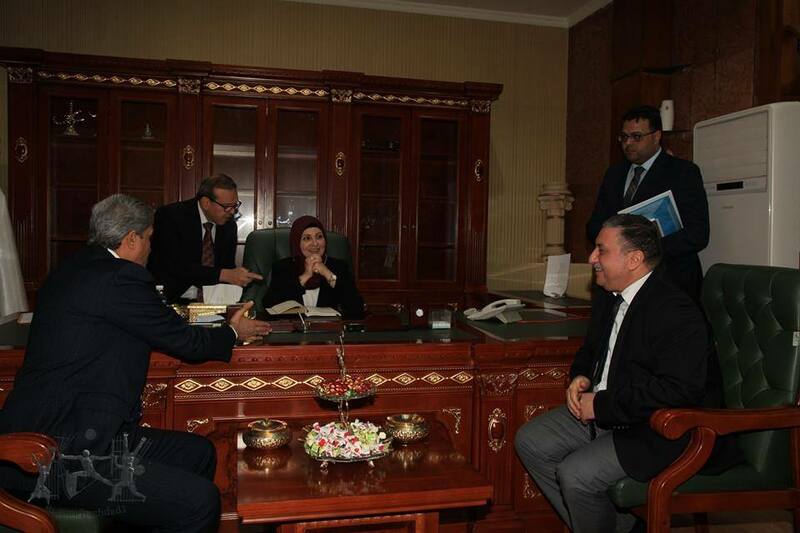 Iraq’s first female mayor Ms Thikra Awash was assigned her duties today on February 26, according to the Facebook page بغداد (“Baghdad”). Her position is so far only temporary, according to the news update, since she took over quite swiftly after the former mayor Naim Aboub who was made to leave due to dissatisfaction with his performance. 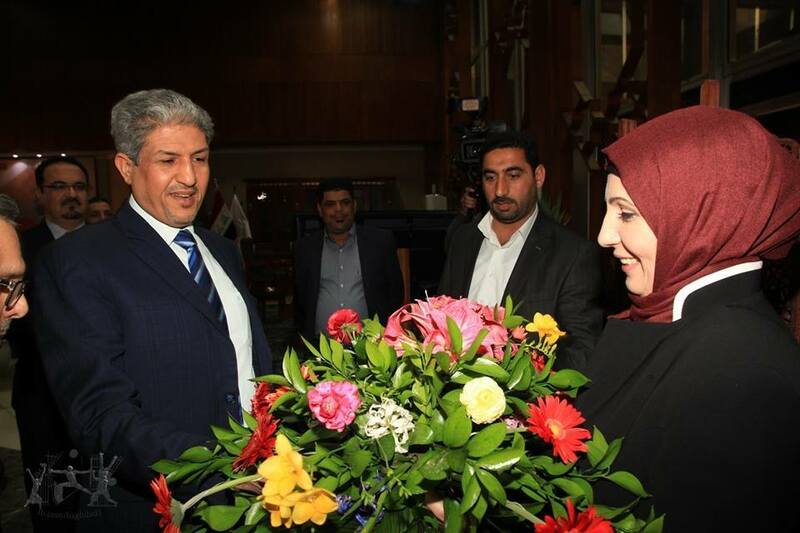 The inauguration is still groundbreaking: it’s Iraq’s first female mayor, to be appointed in the capital, in a time when the IS terrorists are forcing their terrifying misogynist agenda on the regions that they have conquered. In the ceremony the previous mayor participated, and Ms Awash was welcomed to her new office by the director of the Prime Minster’s office, Mr Mehdi Alallaq, who wished everyone in Baghdad a good cooperation in order to overcome all obstacles and reach the desired goal; which is to him, a service valued by Baghdad and its people. Ms Awash said in her speech during the ceremony that she will be loyal and honest in handling the public funds, that she opposes any sort of partisanship and that she will not be biased to any clan, party or sectarian group. She said that her work in the initial phase would have two parallel focuses: to provide better services to the people of Baghdad and work on fast addressing the problems of the city, and also, as she stated: “To reinforce the status of the capital, to once again make it a modern city, while maintaining it’s authenticity and history”.